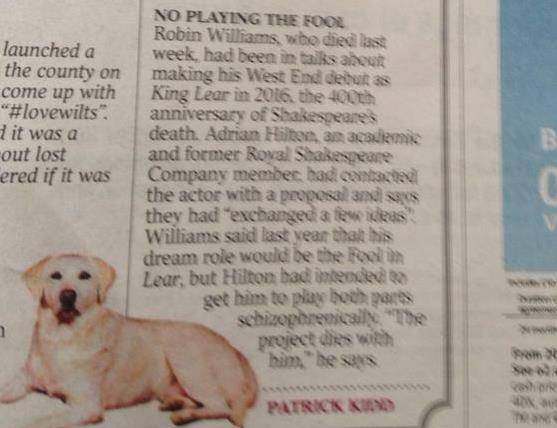 Passing mention by Patrick Kidd in The Times of my planned production of King Lear (2016), with Robin Williams playing both Lear and the Fool. 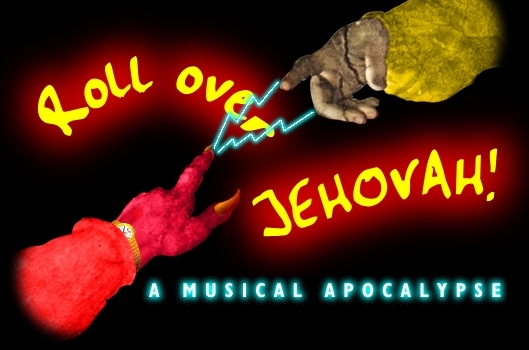 Cast list for The Promise – an opera I directed for Opera Brava, written and composed by Jill Townsend; conducted by Keith Willis, with David Ashmore-Turner as Jesus. 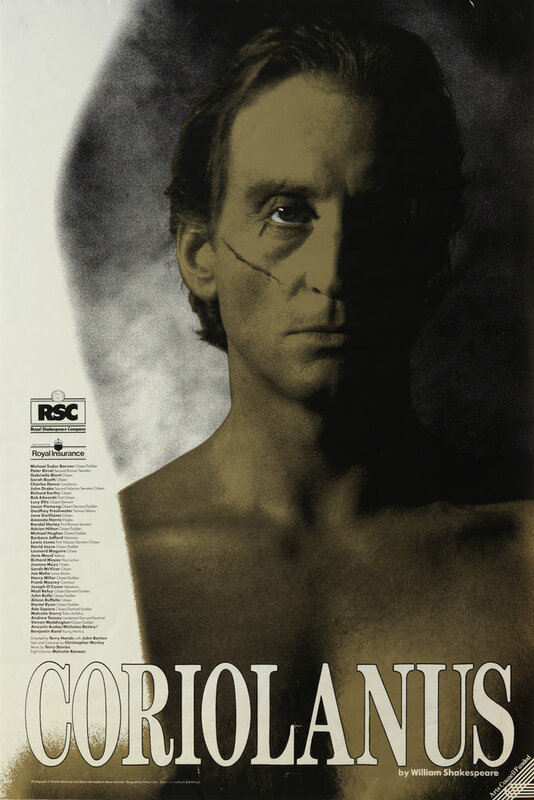 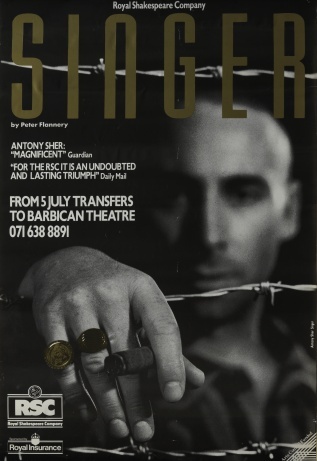 It was based on the Gospel of Luke and the Acts of the Apostles; staged at Queen Elizabeth Hall, South Bank (1997). 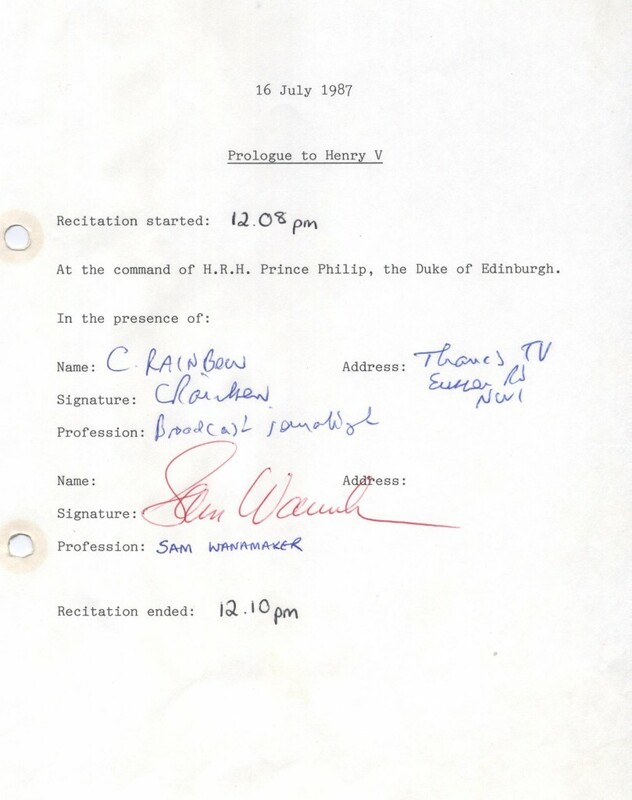 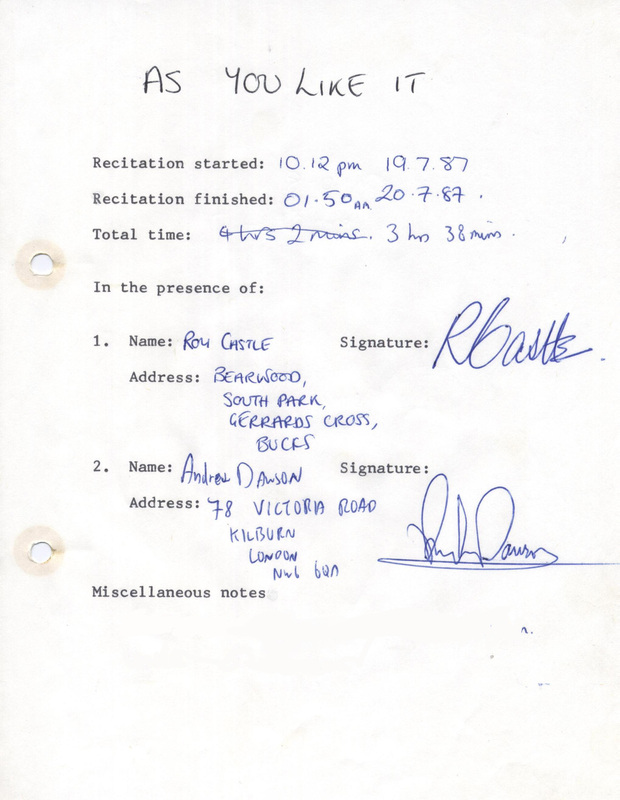 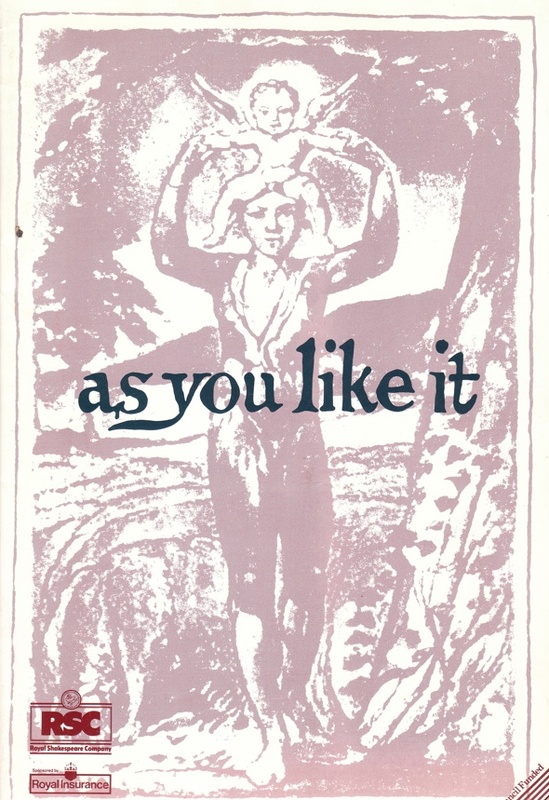 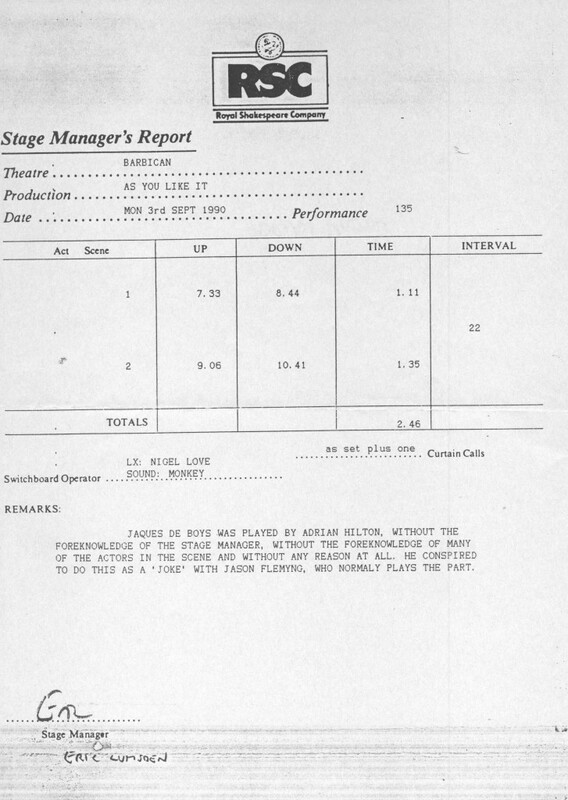 Stage Manager’s Report for As You Like It, in which it appears I “conspired” with Jason Flemyng to surprise the whole cast by going on as Jaques de Boys in Act V – I was clearly a luvvie hell-raiser in those days.. 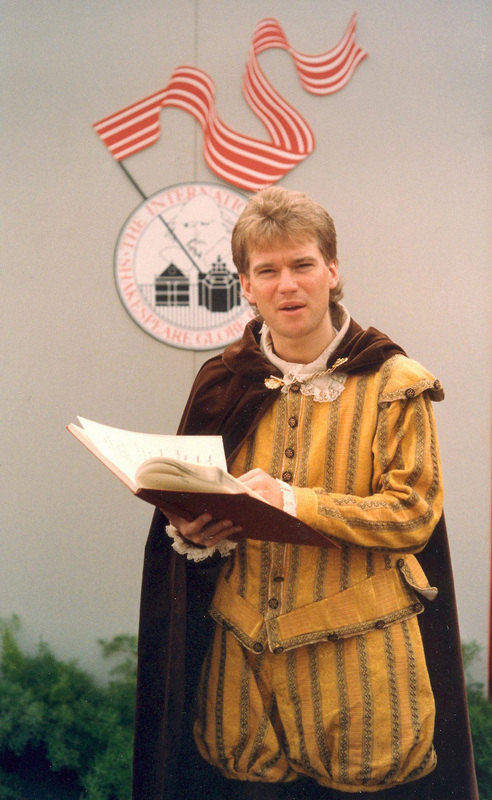 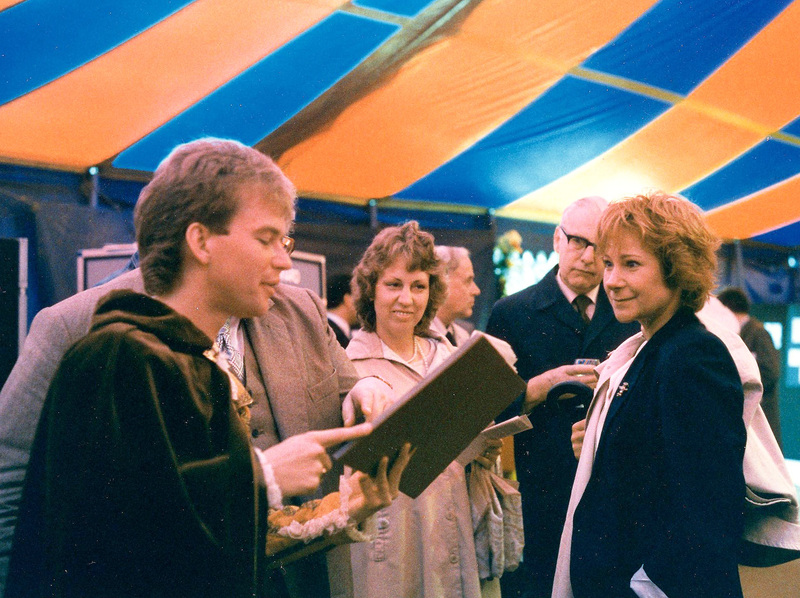 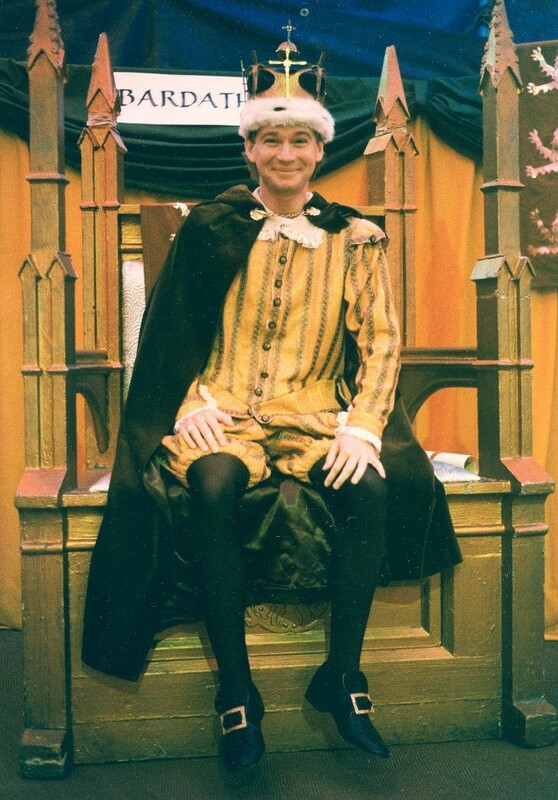 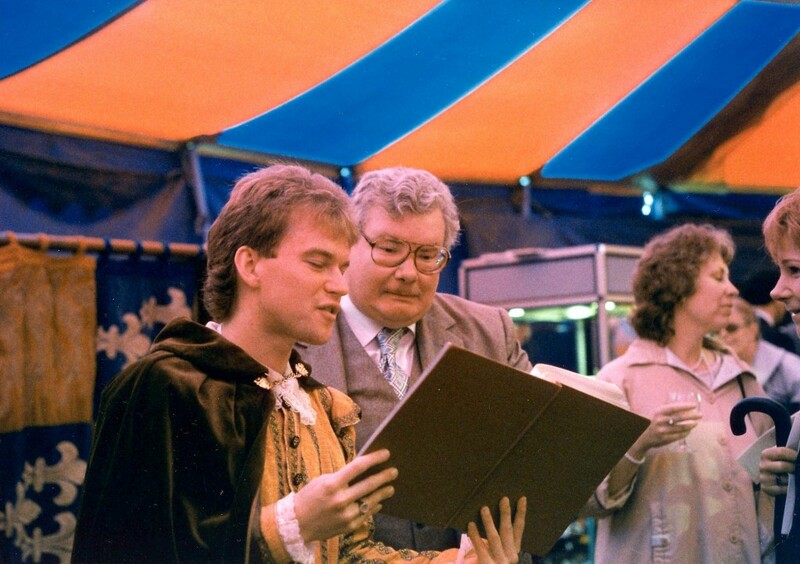 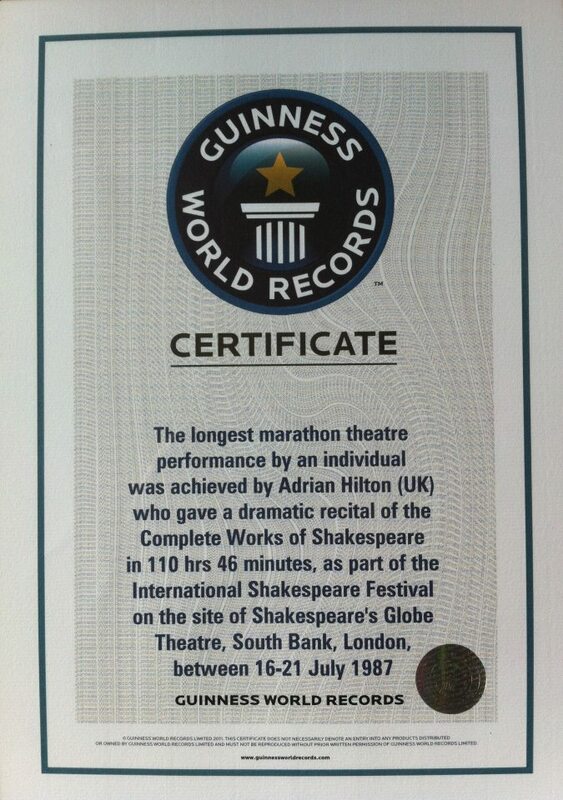 The longest marathon theatre performance by an individual lasted 110 hr 46 min and was achieved by Adrian Hilton (UK) when he recited the complete works of Shakespeare in a ‘Bardathon’ at the Shakespeare Festival, South Bank, London, UK between 16-21 July 1987. 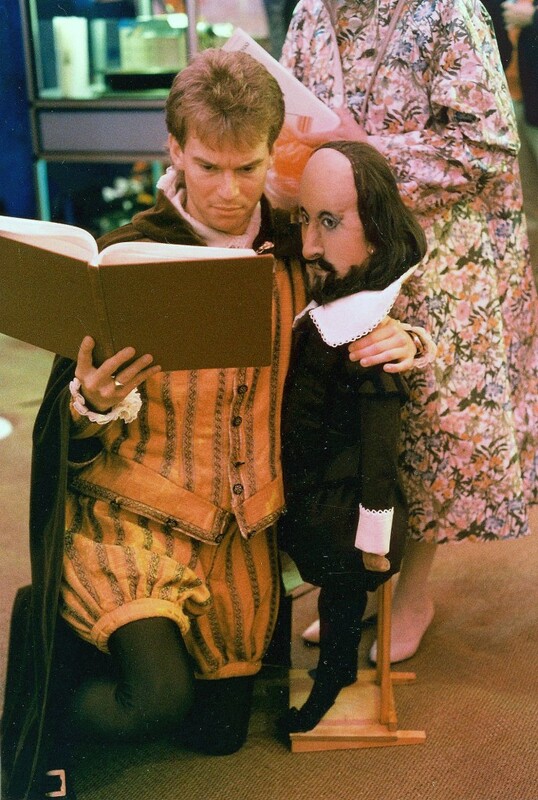 Guinness World Records page to commemorate the 450th anniversary of the birth of William Shakespeare, 23rd April 2014. 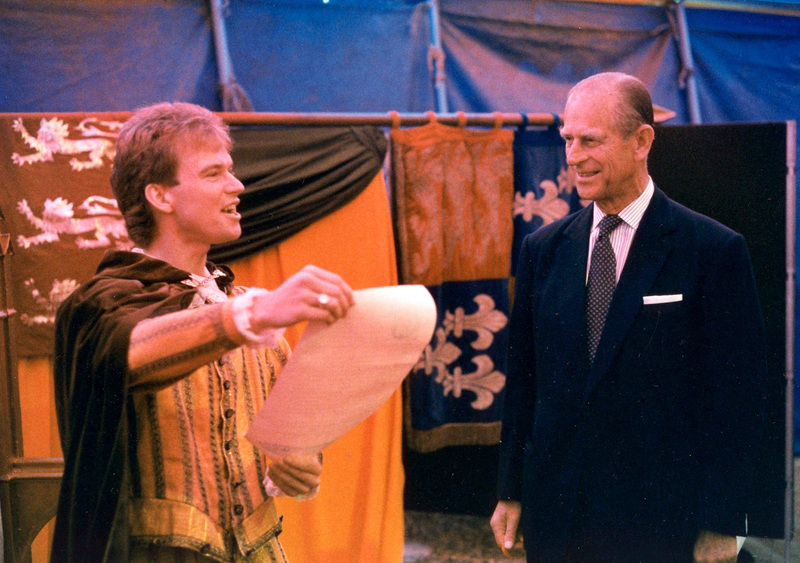 Passing mention in The Telegraph by Dan Hannan MEP, 16th May 2014.